A dish perfect for the home-cook from Chef Matthew Accarrino of SPQR restaurant. Let me just say that one taste of this dish made me feel like I was sitting down to a repast at a charming country inn in the north-west of France. OK, not that I’ve actually had the pleasure of visiting Brittany. But it is known for its apples and its Calvados, a spectacular apple brandy. So, you have to hand it to a dish that can transport you like that. Leave it to Chef Matthew Accarrino to do so, too. If you’ve ever eaten at SPQR in San Francisco, you know he has a deft hand for creating lusty flavors in rustic-chic dishes. Of course, most of us don’t have the patience or inclination to make a lot of chef dishes. That’s why we go out to restaurants instead, right? 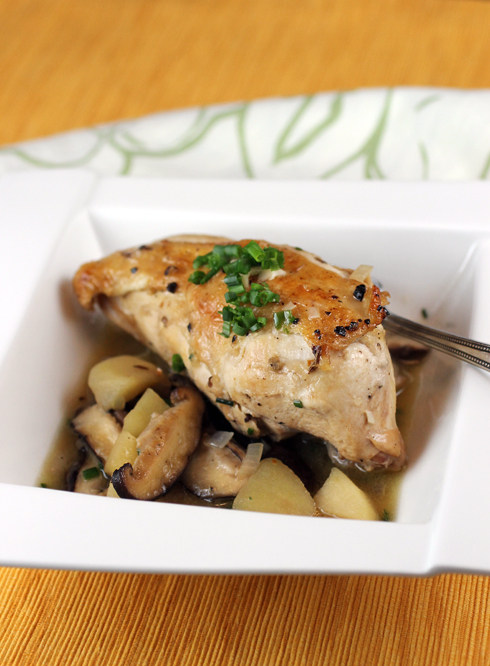 But “Braised Chicken with Apples and Calvados” is one of those straight-forward, one-pot dishes that anyone can do. SPQR’s Executive Chef Matthew Accarrino made me peel tomatoes. Cherry tomatoes. A whole cup and a half of them. He also made me smoke durum flour in a stove-top smoker to make my own linguine noodles. At this rate, you’d think I was a sous chef at his San Francisco restaurant. But nope, I was just making a recipe from his new cookbook with SPQR Proprietor Shelly Lindgren, “SPQR: Modern Italian Food and Wine” (Ten Speed Press), of which I recently received a review copy. 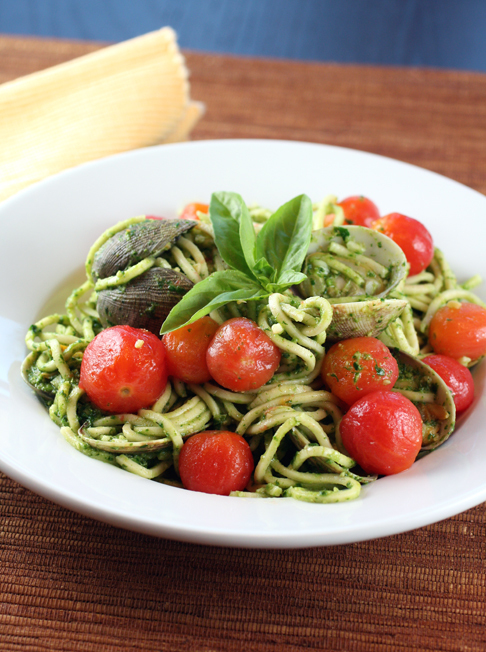 “Smoked Linguini with Clams, Cherry Tomatoes and Basil Pesto” was a triumph of a dish, even if it did take a couple of hours for my husband and I to make. Nothing is necessarily complicated; it’s just a dish where every component needs careful attention. If you have a few hours on a lazy Sunday evening like we did, it’s a project well worth doing, not only for the experience, but for the taste of it all at the end. 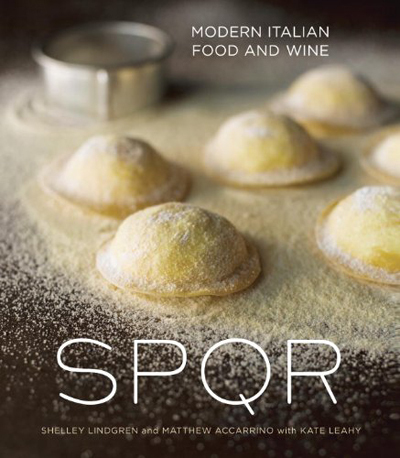 The cookbook is like an Italian travelogue that takes you through the artisanal wines and handcrafted dishes of central and northern Italy that make their way onto the tables at SPQR in San Francisco. The recipes range from dried biscotti and nut biscotti with sweet wine granita, and bolognese with egg noodles to the more challenging bone marrow sformato with stuffed baby artichokes.